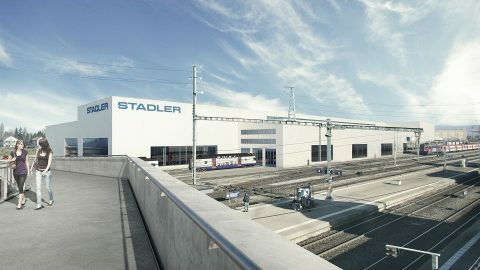 Swiss train manufacturer Stadler Rail has announced the date for its initial public offering (IPO). The company will launch the listing and trading of its shares on SIX Swiss Exchange on 12 April. 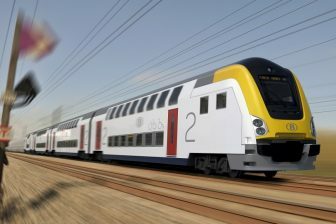 Stadler Rail intends to offer 35 million shares with an over-allotment option for up to 5,2 million shares. They will be traded under the ticker ‘SRAIL’ at a price of 33 – 41 Swiss Francs (around 29.5 – 36.7 Euros). 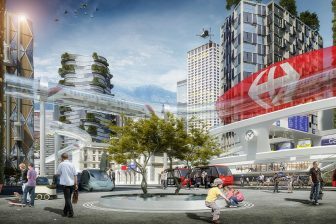 The price range means an offer size of 1,155 – 1,435 million Swiss Francs (1,032 – 1,282 million Euros) in the base offering or 1,328 – 1,650 million Swiss Francs (1,187 – 1,475 million Euros) if the over-allotment option will be exercised in full. The IPO also implies a total market capitalisation of approximately 3.3 billion to 4.1 billion Swiss Francs (circa 2.9 – 3.7 billion Euros). The final cost of shares will be published on or around 12 April 2019 before the start of trading on SIX Swiss Exchange. Stadler’s base offering includes 35 million existing shares owned by Peter Spuhler and offered by him via PCS Holding. The group has also granted the Joint Global Coordinators an over-allotment option for up to 5,2 million existing shares that will be exercisable within 30 calendar days after the first day of trading on SIX Swiss Exchange. The free float is expected to be 38.16 per cent before the exercise of the over-allotment option and 43.41 per cent if the option is called in full. After the IPO (including the over-allotment option), Peter Spuhler will remain control over 39.7 per cent of the Stadler’s share capital instead of 80 per cent currently held. 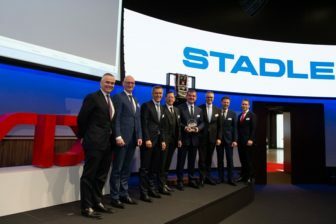 Stadler Rail announced its plans to launch the IPO on 19 March. The offering memorandum was published on 29 March. Meanwhile, bookbuilding was started on 1 April and will be accomplished on or around 11 April at 12PM (CEST) for retail and private banking orders, and at 3PM (CEST) for institutional orders. The listing and first day of trading are scheduled for 12 April 2019. The over-allotment option can be exercised until 10 May. Credit Suisse and UBS are acting as Joint Global Coordinators and Joint Bookrunners for the IPO. BNP PARIBAS, Citigroup and Zürcher Kantonalbank are acting as Joint Bookrunners and UniCredit Bank AG as Co-Lead Manager, while Reichmuth & Co, St.Galler Kantonalbank and Thurgauer Kantonalbank are acting as Selling Agents in connection with the IPO. Alantra is acting as independent financial advisor to Stadler and Peter Spuhler. Niederer Kraft Frey and BianchiSchwald are acting as legal advisors to Stadler and Peter Spuhler, with Lenz & Staehelin representing the bank syndicate.